Brighten up your home this winter! 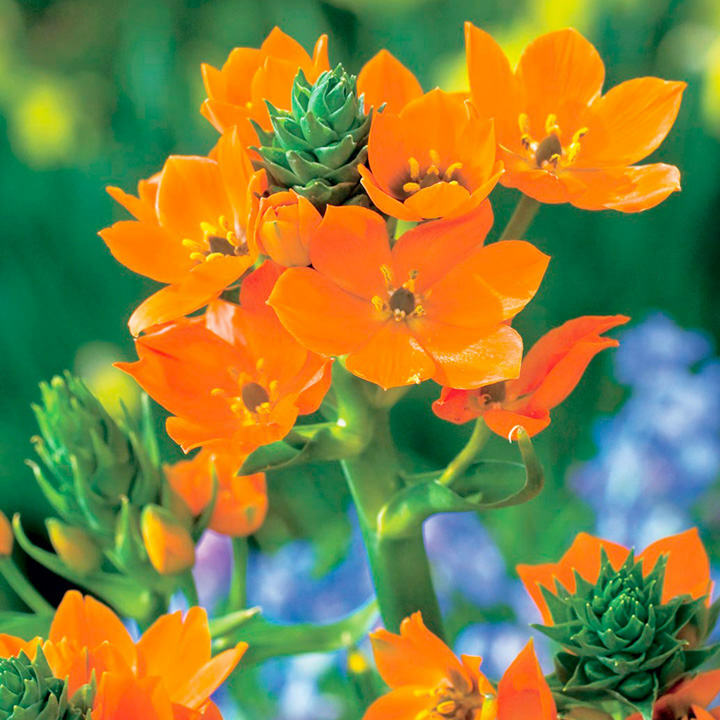 Ensure the Ornithogalum dubium is in soil that drains well. The bulb can rot if it stays wet in its winter dormant season. A raised bed, rock garden or sandy soil work best when the plant grows outdoors permanently. Otherwise, lift the bulbs at the end of each season and replant them in the spring, or grow the plant in a pot, which can be stored out of rainy weather over the dormant season. Store lifted bulbs in a mesh bag in a dry, airy environment. Add compost to the soil at planting time in the spring. 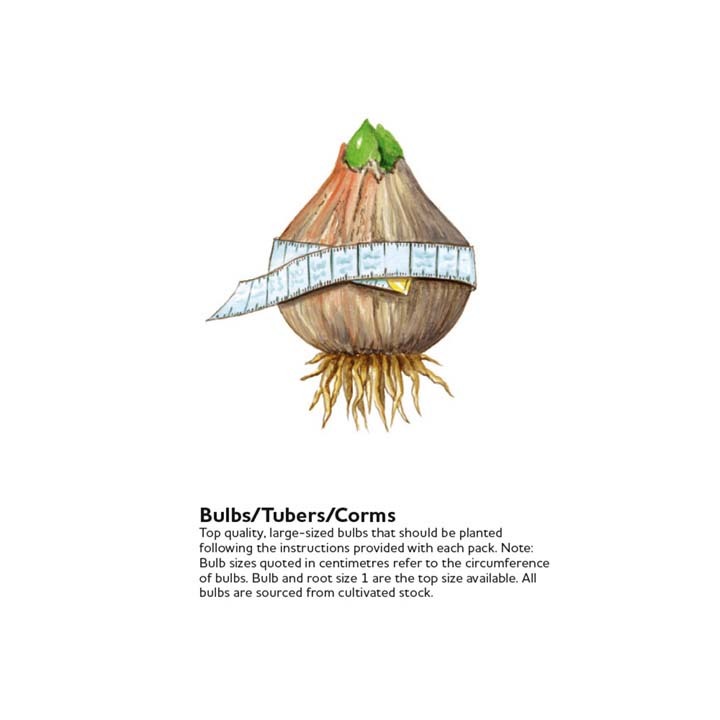 Bulbs should be buried 3 inches deep and 3 to 6 inches apart for best performance. 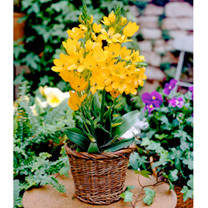 Ideal for pots and containers in greenhouses. Prefers full sun.